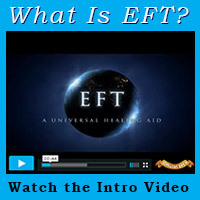 Here is a new year, here is a new opportunity to experience the magic of group EFT. And here’s a short list of the upcoming events for the year. The gatherings will take place in Somerville, MA from 2pm to 4pm on the third Sunday of each month – mostly. Note that events are subject to change. Updates and location will be posted on the Boston EFT Meetup Group. In order to RSVP you can either proceed through Meetup.com or contact me via email or phone. Please arrive promptly. Doors are open starting at 1:45 and late arrivals will be allowed until 2:10. After 2:10, we’ll start the circle and because it is my duty to maintain a safe and smooth process for everyone, and to avoid disruptions – and a late arrival can be a tremendous disruption – I will close the doors and the circle to outsiders.